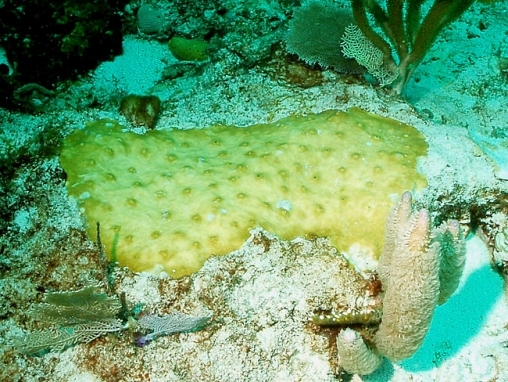 A green encrusting sponge, with prominent exhalent openings, and its exhalent pores may have visible canals running towards them. 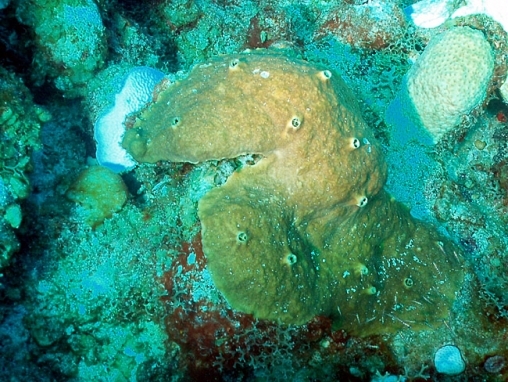 Being greenish, it may be confused with the green burrowing Cliona caribbaea, but C. varians is much thicker, and its surface tissue conceals the surface structure of the coral it is growing over. 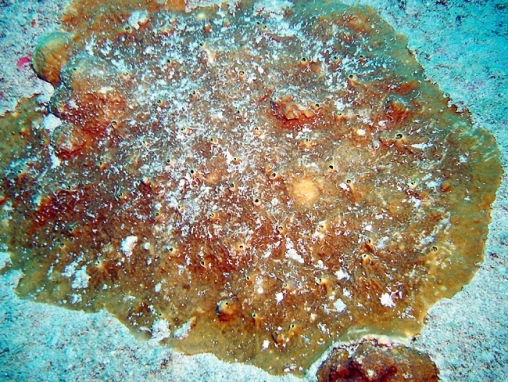 It may develop extensive sheets. An older but commonly used name for this is Anthosigmella varians.